Diet dark chocolate with aronia. ONLY 277 Kilocalories with stevia and blueberries. Natural chocolate with 54% cocoa products with pieces of American cranberry. Low carbohydrate content, 43.2 grams per 100 grams of chocolate. Only 290 kilocalories with stevia. 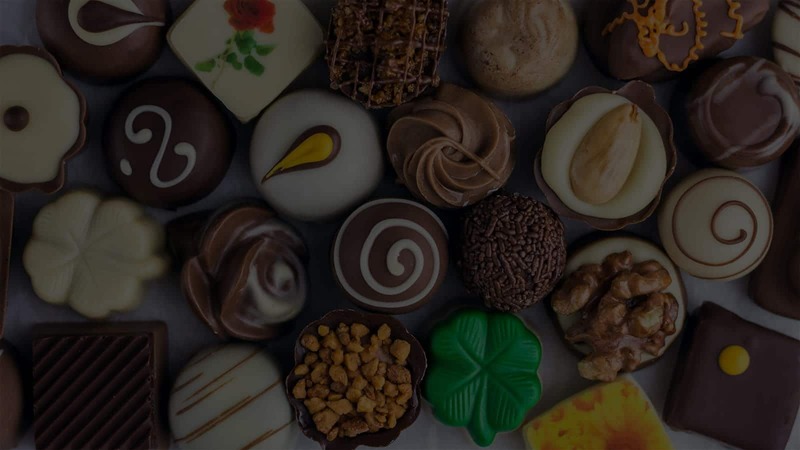 Natural chocolate with 60% cocoa products and extract from Stevia plant. Low carbohydrate content, only 45.6 grams per 100 grams of chocolate. 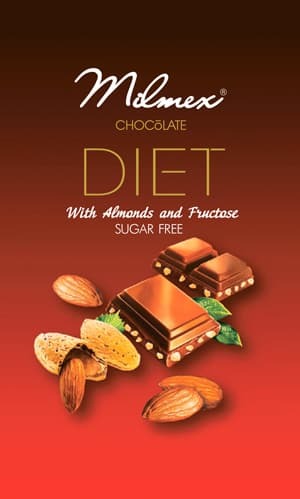 Diabetic cocoa block with almonds and fructose. Sugar substitute - maltitol. Suitable for diabetics. With pieces of orange peel. Suitable for diabetics. Fine milk chocolate 80 g.
Dark chocolate - 70% cocoa. Dark couverture - 200 g chocolate for cooking.